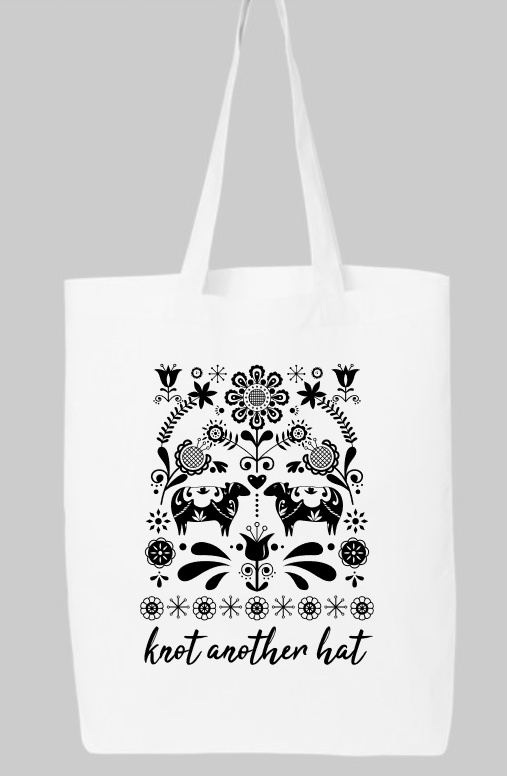 Show your KAH love with our sheepy cotton totes! Features original artwork by local artist Jennifer Heredia. Totes are 100% cotton and measure approximately 15x16x3", with 9" tall handles.